As distributor of well-known global brands such as 3M, Diodes Zetex Inc., Kemet, Rohm, Exar, Pancon or Schaltbau, we are offering a broad product portfolio consisting of electronic components and systems for your purchasing and developing departments. Round about 40.000 articles belonging to our assortment of goods, we are always keeping more than 18.000 articles in stock. Our large storage with more than 2.000 qm and administered with state-of-the-art logistic processes enables us to provide our customers with high availability concerning all product groups. No matter if it concerns 3M-cables, transistor optoelectronic couplers, illuminating diodes, rectifiers , LCD displays, charging plug-in connectors, cable connectors, connector blocks or anything else: micronetics provides active, passive and electro-mechanical components, characterized by high-quality and state-of-the-art compliance. Download our LineCard as a PDF. 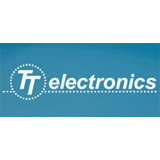 With our company micronetics® we carry over 60 manufacturers for electronic components on our linecard. Linecard download, for the view on the screen: Linecard for the screen, for the expression: Linecard for the printout. To view the PDF downloads you need a PDF reader. You can download this here, for example. High Voltage High Power and High Frequency. washable, binary and hexa coded). Round plug connection M8/M12/7/8”/ RD24, moulding, tailored, mounting flange, distribution system, D-Sub plug connectors standard, High Density, Combination, filter, hoods and sublies, RJ 45 Modular Jack, Mini USB 2.0 Many variation in IP67 ! In addition to our website, we are active on many networks and social media channels for you.